Astrology is deeply woven into the fabric of almost every culture in the world. There are many different techniques and systems, but the basic meanings of the symbols are remarkably similar wherever we go -- and they can be followed all the way to turkey day. 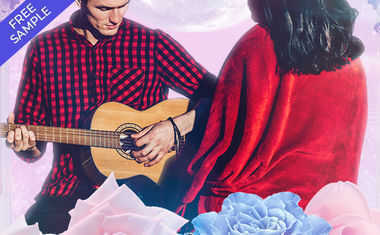 Venus, for example, is the planet of love and attraction, and Mars is the planet of action and aggression in our Western Astrology, as well as in the Vedic or Jyotish Astrology of India. While some scholars argue this is the result of their common sources of influence, we can also assume the reason for these similarities is the result of direct observation and experience of the qualities of the planets. The astrological impact on our language is apparent in words like "consider," which means with the stars (con = with, sider = stars) or its opposite, "disaster" (dis = ill, aster = star). Mercurial (changeable), martial (militaristic) and saturnine (serious) reflect the characteristics of the planets for which they are named. 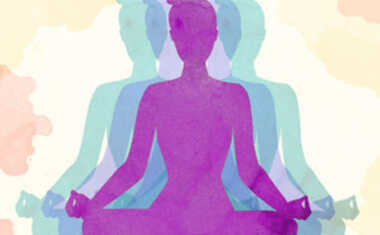 The days of the week are one of the oldest examples of the cosmic connection to daily life. Monday, of course, is Moon day, Saturday is Saturn's day, and Sunday is the Sun's day. The planetary connections to the other days of the week aren't obvious to those unfamiliar with Norse and Germanic mythology. It is much clearer in a Latin based language like French, where Mardi (Tuesday) is Mars, Mercredi (Wednesday) is Mercury, Jeudi (Thursday) is Jupiter and Vendredi (Friday) is Venus. The Norse equivalents are Tiw or Tyr for Tuesday, Woden for Wednesday, Thor for Thursday and Freyja for Friday. The names of the days of the week are ancient, yet one of them plays an important role in the relatively young American holiday that occurs this week. Thanksgiving is always on the third Thursday (following a Wednesday) in November. This brings together two astrological symbols that characterize this most sacred of secular U.S. holidays. 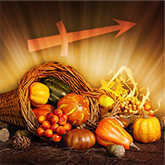 Thanksgiving always occurs when the Sun is in Sagittarius, and Jupiter (Thursday) is this sign's key or ruling planet. Both relate to the expansiveness and optimism associated with this holiday. Yet while appreciation of life's bounty is a noble notion, we usually overlook the less savory side of the story. Sagittarius and Jupiter are about high hopes as well as hypocrisy. Their mutual desire to paint a rosy picture ignores the suffering and displacement of Native Americans as our largely European ancestors conquered the continent. There is also a religious component to Sagittarius that's often more about extolling the virtues of the faith than living up to its highest principles. This is the shadow side of Jupiter and this sign's belief in its higher truths while at the same time we are capable of overlooking the suffering in the immediate environment. For those celebrating Thanksgiving this year, the astrological symbolism is a reminder to think about those less fortunate than ourselves. The old hermetic axiom "As above, so below" is used to describe Astrology's link between heaven and earth. But on a moral and spiritual level, it's also a reminder that our noblest beliefs and aspirations (as above) are not simply concepts of faith, but are instructions for living here on planet Earth (as below).